Where to stay in the Bay of Islands on a budget? Sea, sand, waterfalls, wildlife… The Bay of Islands is the North Island’s little piece of paradise with consistently good weather and lots of things to do. 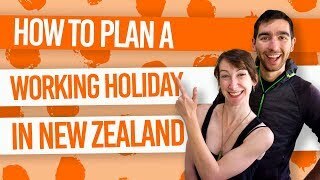 To save money for boat trips, mountain biking, skydiving or whatever it is you want to do in the Bay of Islands, stay in one of the awesome backpacker hostels in the Bay of Islands New Zealand! The Bay of Islands encapsulates the towns of Paihia, Kerikeri, Russell and Kawakawa. Paihia is your main hub for water activities in The Bay, while Kerikeri is a backpacker favourite for seasonal work and great place to learn about New Zealand history. Russell was New Zealand’s first capital, full of charm and history. Find out more in our Bay of Islands – Guide for Backpackers. Ideally located on Paihia’s “hostel street” and only a couple of minutes walk away from the town centre, the Mousetrap Backpackers is well worth considering for your stay in the Bay of Islands, New Zealand! The family-run backpackers has a homely feel with plenty of lounging areas, garden and even free WiFi, computers, tennis and petonque court, bikes and a free weekly BBQ throughout the summer. For a great place to stay on a budget in Kerikeri, take a look at Hone Heke Lodge. The lively atmosphere is thanks to the backpackers choosing Hone Heke while doing seasonal fruit picking work (the team can help you find a job as a working hostel). Mingle in the covered outdoor dining area, play some table tennis or lounge in the huge garden area. Choose from dorm rooms, private rooms and motel rooms. What’s more, there’s free WiFi. Right in the centre of Paihia, Haka Lodge has great views overlooking the Paihia waterfront. Get a bit of privacy in their pod-style bunk beds and enjoy their modern and colorful style. Plus, there’s free unlimited WiFi. Check Haka Lodge Paihia out! If you fancy yourself as a flashpacker for the night then consider Relax a Lodge in Kerikeri. With affordable double, twin and triple rooms in their farm house, get a break from busy dorm rooms. There’s all the usual communal facilities found in a hostel, from kitchen to laundry. (Except they have a dishwasher!) Not that you’ll want to spend too much time inside when there’s a swimming pool, pigs to feed, freshly laid eggs to gather for breakfast, and more. BBH members benefit from a discount. Check Relax a Lodge out! Just a stone’s throw away from the beach, Base Paihia is in a great location in Paihia. Rooms are set out in different units, some with their own kitchenettes. On-site is the Pipi Patch backpacker bar with events almost every night. Relax in the spa pool and even the swimming pool. Another fantastic working hostel in Kerikeri is KeriCentral. They’ll help you find season work while providing hostel accommodation and facilities such as a swimming pool, free WiFi, kitchen, laundry and all those other little essentials. What’s more, they’re located right in the town centre of Kerikeri. For a more off-the-beaten-track accommodation in the Bay of Islands, try Wainui Lodge near Russell. The BBH hostel is nestled in native trees on the waterfront. Borrow kayaks, boogie boards and snorkels for free, as well as making use of the usual kitchen facilities. Make a booking quick as there are only two rooms in this small hostel! Another hostel in Russell, Pukeko Cottage is a mere 5 minutes walk from the Russell Wharf. This hostel accommodation prides itself on being a homestay offering a homely and relaxing environment. This small hostel with three rooms has basic kitchen and lounge facilities, as well as sunny decking area and barbecue outside. Another awesome hostel option in Paihia is the Bay Adventurer. There’s plenty of space in this apartment/backpacker resort with a swimming pool, spa pool, and tennis court and equipment. There’s free WiFi and mountain bike hire, as well as communal facilities such as kitchen, laundry, terrace and courtyard. Choose from studios, apartments, dorm rooms, female dorms and tent/campervan spaces. Our final Paihia hostel is Seabeds, a stylish and modern hostel free from bunk beds. Choose from dorms, private rooms with ensuite and a studio in this BBH hostel. There’s plenty of indoor and outdoor lounging areas and the hostel is about 10 minutes walk from the centre of town.